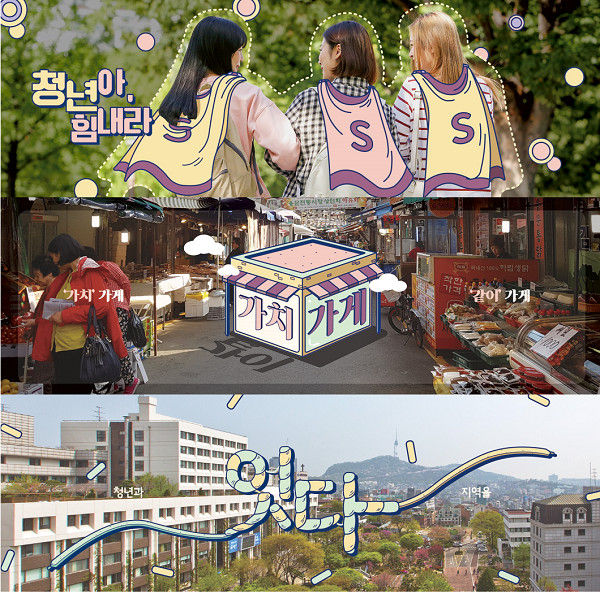 숙명타임즈 모바일 사이트, Welcome, First Times in CROSS Campus? CROSS Campus (also known as Campus Town in Korean) is a project aimed at creating jobs for young people and reviving the local Seoul City economy through collaborative efforts between universities and local communities, ultimately to build ‘UniverCity’, the compound word of university and city. Within CROSS Campus Project are two types of projects. The first is ‘Community Creation Type’, also referred to as ‘Overall’, which works towards regenerating urban areas through the promotion of business establishments, stabilize housing, specializing the culture of a local community, market revitalization, and cooperation with the local community. The second type is called ‘Program Type’, also referred to as ‘Unit’, which focus on specific goal of each university and local community. Here universities act as mediators between the local community and Seoul City with the goal of business operating consultation, the strengthening of the local community, and the improvement of neighborhood living conditions. The Seoul City supports the second type by budgeting an allowance of 3 billion won towards its activities. 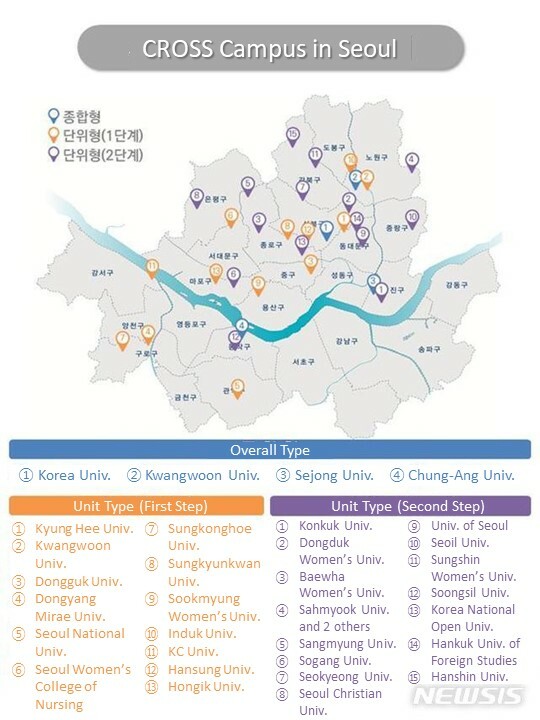 Starting in 2017, Seoul City supports 13 universities under Program, but from this year, it will increase that number to 16 additional universities including Konkuk University and others. Sookmyung works for the project under Program. For Sookmyung, the university strives to maintain three goals. The first is to revitalize Yongmun Traditional Market. For this purpose, Sookmyung holds various activities and events such as the Student Idea Competition, the Lang Lang Program, and cross-curriculum classes such as Capstone Design. The second goal is to motivate young people in the business. To realize this goal, Sookmyung hosts the Competition of Business Establishment, Cross Campus Play Ground, and YES Coding Team. The final goal is to specialize the culture of Yongsan district. It aims to accomplish this through programs, such as Independence Road and Sookmyung Heritage Hall Museum Program. One project that was jointly carried out with Sookmyung and Yongsan District Office was the establishment of panel LED lights at the underpass near Sookmyung Women’s University metro station to improve the safety of the pedestrian way. To learn more about CROSS Campus work at Sookmyung, SMT interviewed Sookmyungians who are working to meet the goals of programs related to business establishment and revitalization of the Yongmun Traditional Market. To understand the CROSS Campus Project in terms of business establishment promotion, SMT interviewed ‘Yummy Yongmun’, a group of four people, who participated in the 2018 Competition of Business Establishment organized by CROSS Campus Project. 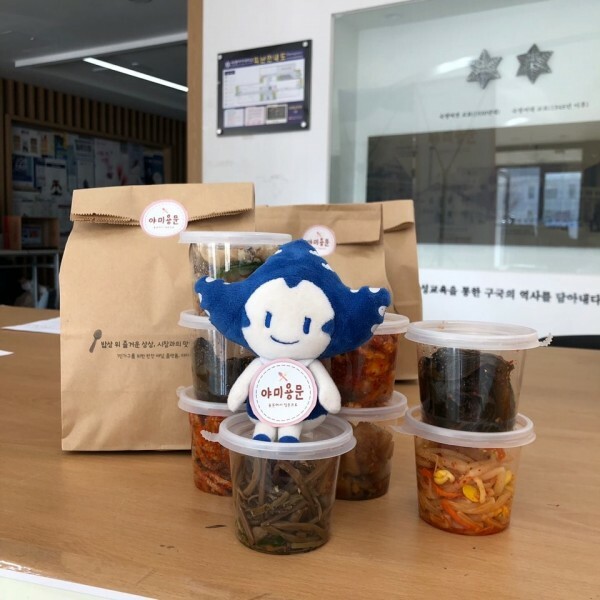 After winning the grand prize, Yummy Yongmun has been working diligently to create a link between Ban Chan Store (Side Dish Store in English) and Sookmyungians, especially single-person householders. When asked about financial support, the group said, “We received 2 million won to work towards the goals of our proposal. We were also given office space to conduct our activities.” With financial backing and free rental, the group was able to conduct its ‘Monday Food Talk’, which many Sookmyungians will have likely encountered last semester. The group freely promoted its products without a financial burden. The group also said they were encouraged by human resources. “We received constructive criticism and feedback about our business from the head and members of Project. Plus, we have access to advice from professionals in the field whenever we need it,” they stated. Although Project is flexible, Sookmyungians working on their own projects must also consider the overall goals of the Project. In case of Yummy Yongmun, the group also wishes to revitalize Yongmun Market and the local community beyond merely establishing another business in the area. For the program related to revitalizing Yongmun Traditional Market, SMT met Kim Yoobin, Department of Social Psychology ’15, a member of B:Breath. B:Breath is a group of students who were awarded the grand prize at the Student Idea Competition held by CROSS Campus Project Group. “Most people who shopped at the Market were in their 60s and 70s, so there was a need to attract new younger customers especially children and their parents. We connect the traditional market to those customers using the contents of traditional fairy tales, which children are familiar with.” The group hosted events such as <Heungbu and Nolbu> last year September with the theme of rice and abundance and the event <Red Fan, Blue Fan> July 2018. When asked about support from CROSS Campus Project, Kim stated, “We received not only financial support but also assistance from Human resources who introduced us to other groups.” Because of their events, more people than ever from different local communities visited the Market. “We saw immediate results. Merchants were happy, and residents responded positively,” Kim said. The Program is expected to continue until the end of 2019. Because there will be no more support from Seoul City, Sookmyugians claim that the school should prepare for this in order to continue the goals of the program. Han Youjin, Department of Business Administration ’15 and member of Yummy Yongmun, stated, “Last year, CROSS Campus Project Group provided continuous care. This is essential for students to continue their work fully and passionately. Therefore, even after Program comes to an end, there needs to be other school support for students wishing to continue or start such as subjects related to establishing a business, mentoring, and meetings with former Program groups.” The project has proceeded a 3-year term, but there’s a need to continue to ensure young people business success. Without practical and continuous help from Sookmyung, it is difficult for students to pursue their goals in establishing the business. Therefore, it seems necessary for the school to establish a program for supporting its student continuously. Kim Yoobin also emphasized the need for the school to continue with its effort towards helping students establish their own businesses. “The school needs to provide programs such as Capstone Design program or business establishment competitions. Sookmyungians need more opportunities related to starting up a business,” Kim said. 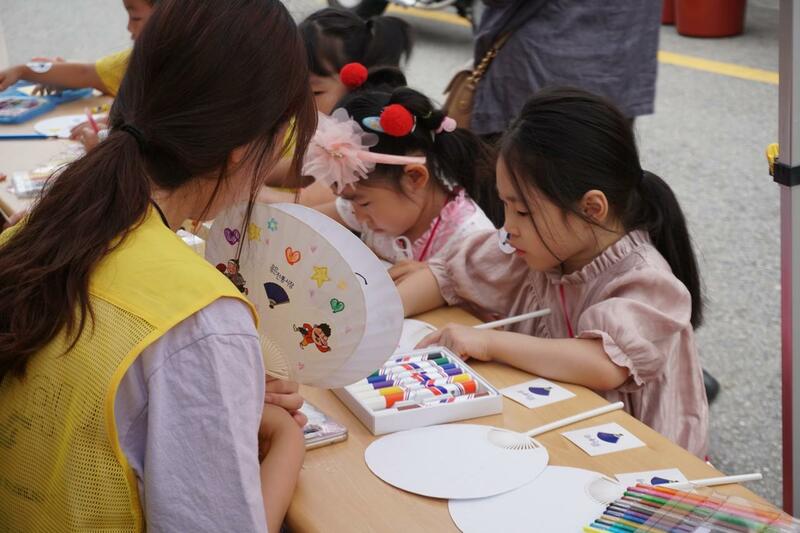 Kim also emphasized students’ active participation in the revitalization of Yongmun Traditional Market. CROSS Campus Project at Sookmyung was established to fulfill three goals over two years, and it is evaluated as an exemplary case of the Project. In 2019, Sookmyung will continue to support many of the Program activities. However, to have more Sookmyungians participate in Program, the school needs to promote it better. Additionally, it is important to prepare for the time when the Program ends by considering possible operating support for young people businesses and how to continue with programs already functioning in the local communities. 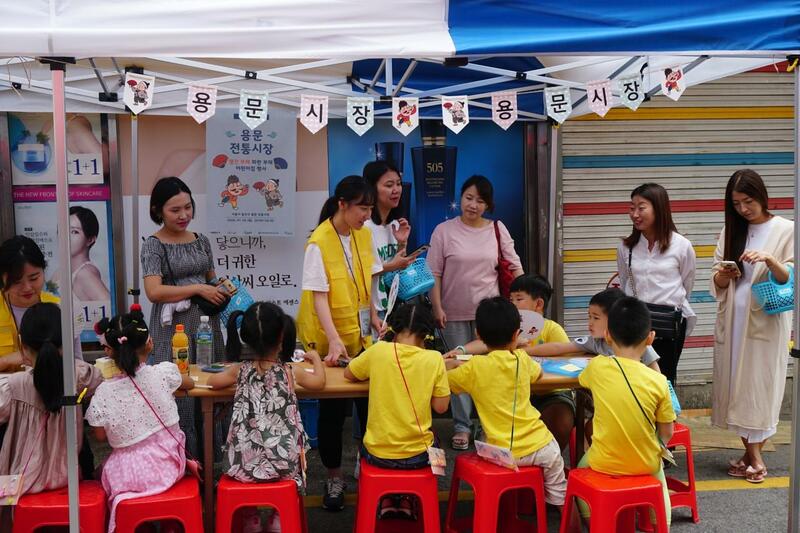 The goals of supporting young people businesses, revitalizing Yongmun Market, and specializing the culture of Yongsan district can only be actualized if Sookmyung prepares to support these activities long after Program finishes.